LSD: Revelation of the Mind, is a book that will attempt to explain what an LSD trip is, what tripping means, what a psychedelic experience is all about & how it can make people’s lives better & the world. PART 2 – More than 100 chapters. Preface – I recommend reading the preface before reading Part 2 and 3 in order to clarify its purpose and how the chapters are set up. So that there isn’t confusion*, the chapters here are the same as the chapters that are listed to the left (on a desktop or laptop). When you’re at any chapter, while still there, you’ll be able to see the chapter list at the left. *For visitors viewing this site on a tablet or cellphone, please refer to the list of links at the bottom of the page. If you are interested in supporting this website and participating in a link exchange between your site and this one or if you are interested in becoming a paid sponsor, please contact me at: phannes1969@gmail.com. Of course there are many psychedelics that allow you to experience a trip. Such as magic mushrooms, ayahuasca, truffles, kana, just to name a few. 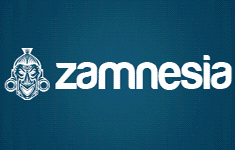 On the website of our friends at Zamnesia you can find information about many of them. Check it out! I have had a similar experience to you on psychedelics and have seen the sentimentalities prescribed to the start and end of the universe, understanding life as a cosmic recipe! I was once on a psychedelic and was listening to a sad piece of music and suddenly felt a sense of metaphysical pain and could see the struggle of the end of the universe before my eyes, enveloping as a scene of my imagination, and then the creation of a new universe. The sight baffled me! The only issue I have is continuing on my current life with this haunting knowledge , but I suppose , nothing necessarily changes , except the fact you realise everything you do matters a lot lot more. Peter.. this work is beyond words – it takes a *very special individual* to understand; there is Order in Chaos. you have put together something seemingly spectacular here. Well Done. If you ever have an inkling to come to Kangaroo Island, South Australia – my doors are open. Appreciation, Gratitude, Satisfaction, Fulfillment, etc. Awe, Wonder, Inspiration, Excitement, Glory, Splendor, Grandeur, etc. Education, Teach, Learn, Study, etc. Eternal, Eternity, Timeless, Time, "Changes in Perception of Time"
Free, Freedom, Release, Relieve, Breakthrough, etc. Immediate, Sudden, Spontaneous, Instant, "All at Once," etc. Limit, Boundary, Barrier, Narrow, etc. Outdoors, Trees, Flowers, Plants, Air, Wind, Sun, Sunset, Sky, Clouds, etc. Peace, Serenity, Tranquility, Contemplative, Calm, Relaxed, Passive, Silence, "no hurry," etc. Radiance, Bright, Brilliant, Shining, Sparkling, Dazzling, Glowing, Glittering, Gleaming, etc. Reality, Real, "More Real Than Real"
Remember, Relive, Rediscover, Restore, Recover, Return, Reunion, Renewal, Lost, Forgotten, "Regain What's Lost, etc. Reveal, Unveil, Unmask, "Remove Veil or Mask," etc. Z-Previously Unimaginable, Inconceivable, Unknown, Inaccessible, or Hidden," "Never Thought, Suspected, Expected, or Even Dreamed Was Possible Before," "Experiencing Something For the First Time or Betten Than Ever Before," etc.